Tom Clancy’s Rainbow Six Siege is a tactical shooter video game developed by Ubisoft Montreal and published by Ubisoft. It was released worldwide for Microsoft Windows, PlayStation 4, and Xbox One on December 1, 2015. 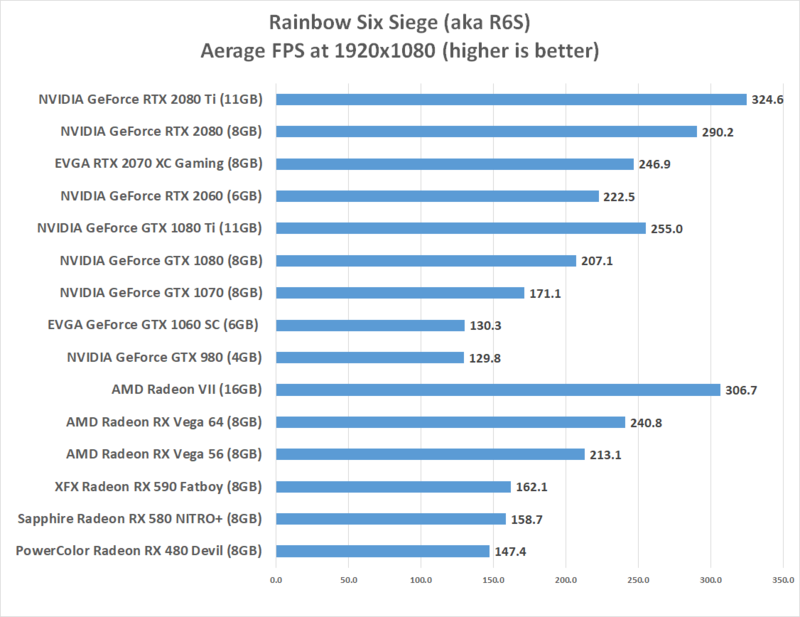 Rainbow Six Siege has seen a resurgence of late and is becoming a popular eSports title thanks to a steady stream of updates since launch. Rainbow Six Siege runs on the AnvilNext 2.0 with Realblast Destruction for this game title. 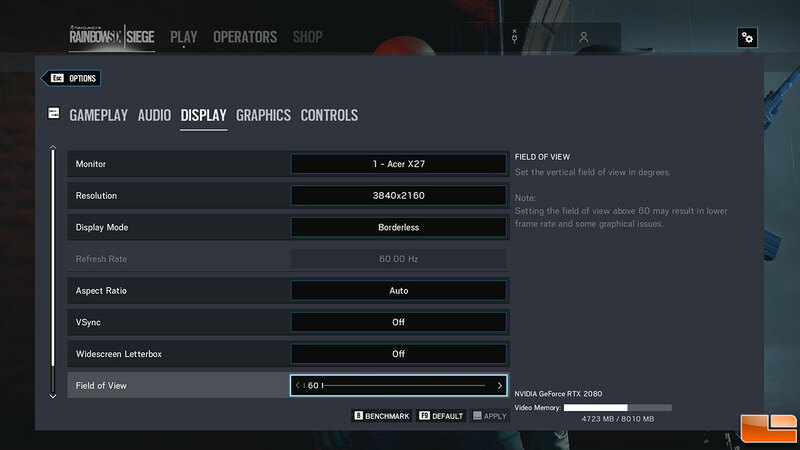 Tom Clancy’s Ghost Recon Wildlands was benchmarked with high image quality settings with Temporal AA and 4x AF. V-Sync and the framerate limit were both disabled and we used the game titles built-in game benchmark. 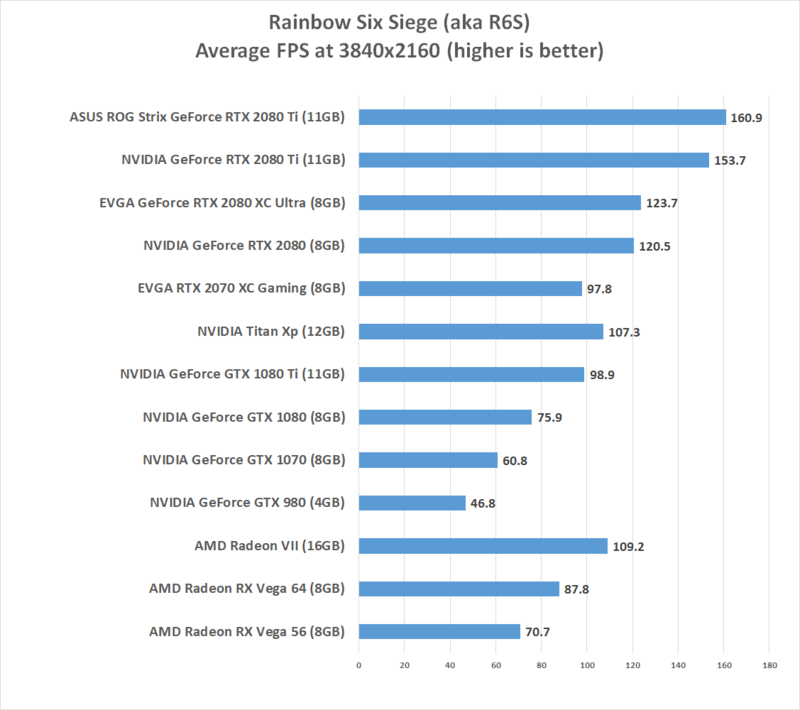 Benchmark Results: The Radeon VII made short work of Rainbow Six: Siege with super impressive results. At 1440P and 4K the Radeon VII faster than the GeForce RTX 2070, but at 1080P is was faster than even the RTX 2080! 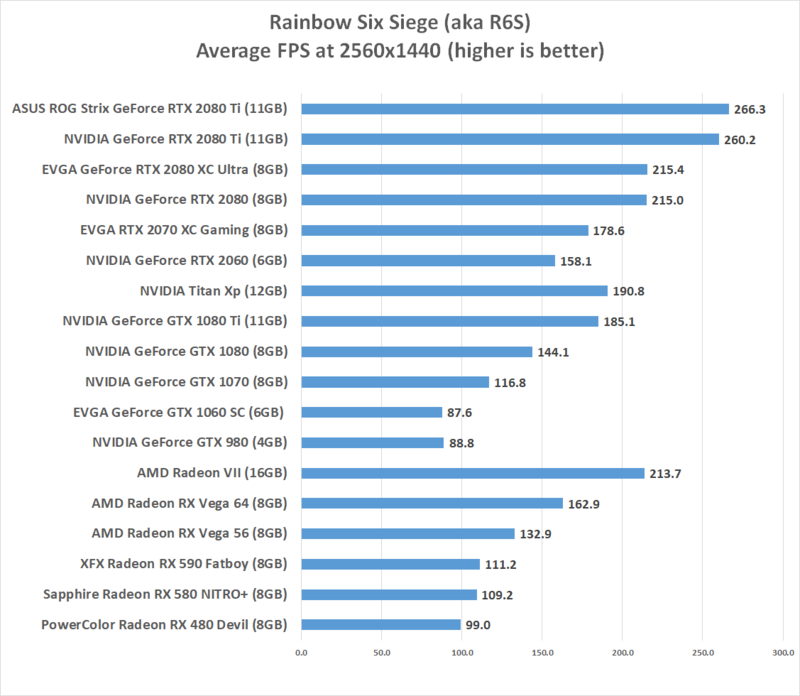 That said, you won’t notice the difference between 310FPS and 290FPS while gaming!